Shandi is a 12 years old friesian mare. She has been barefoot fore some years now, and is functioning good. 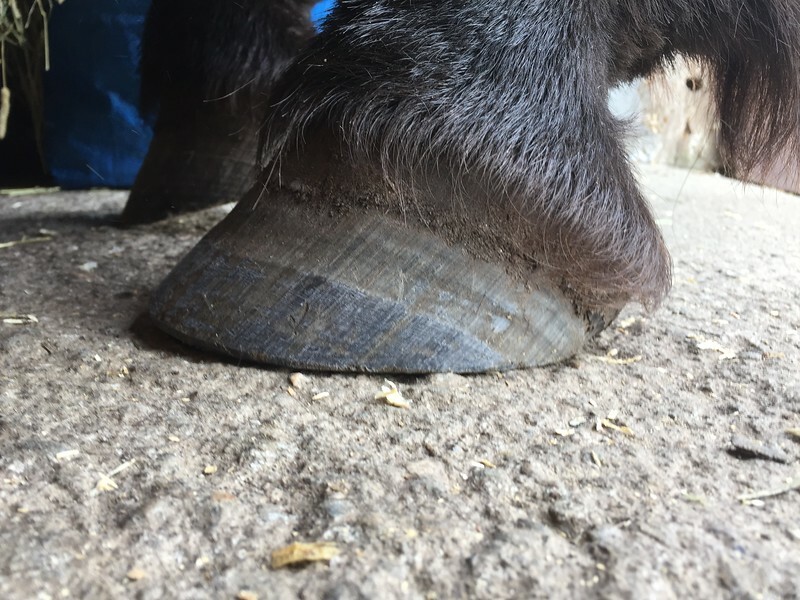 Have not had any(known) problems with her hooves earlier, but she has quite little hoofwall to walk on, so we are going to save for that now. She is being used regularly, and also do some dressage competition(where she is performing very well).